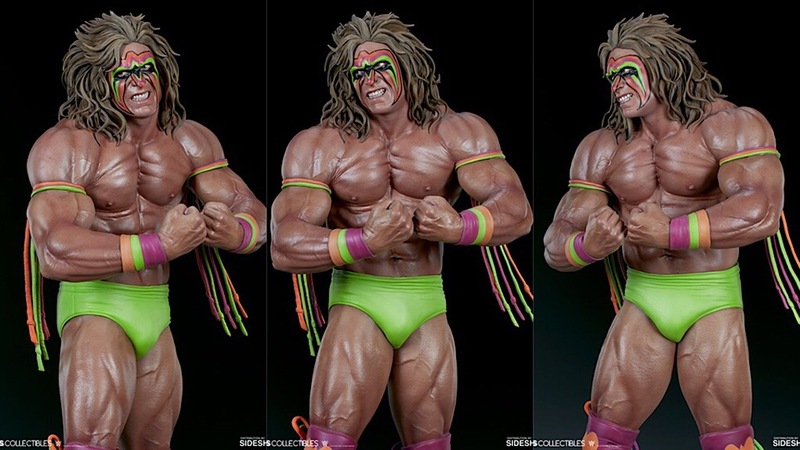 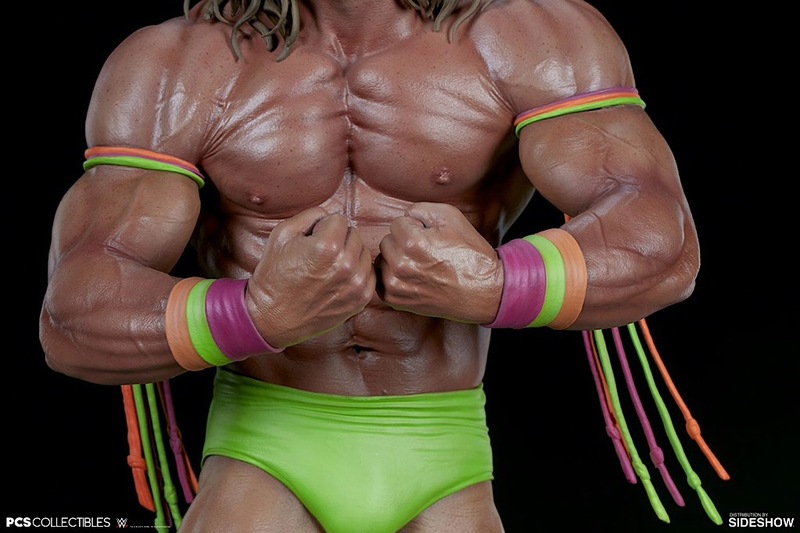 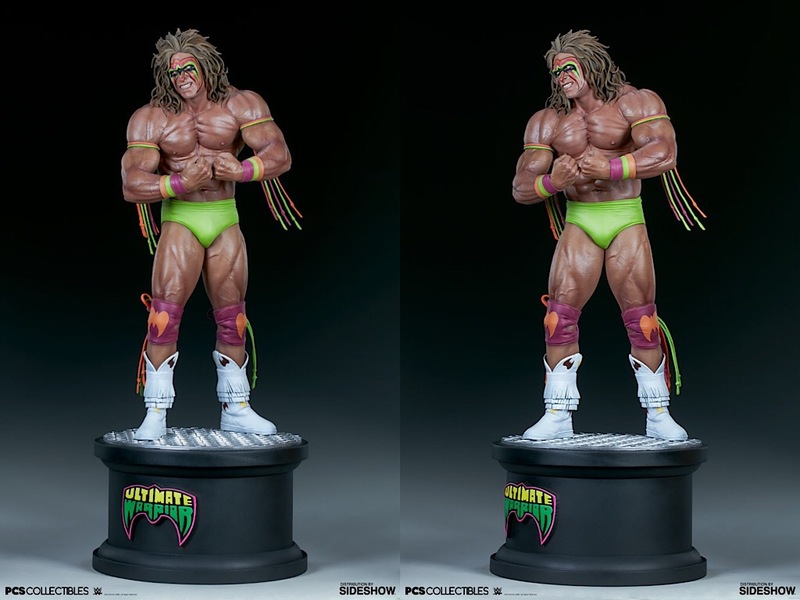 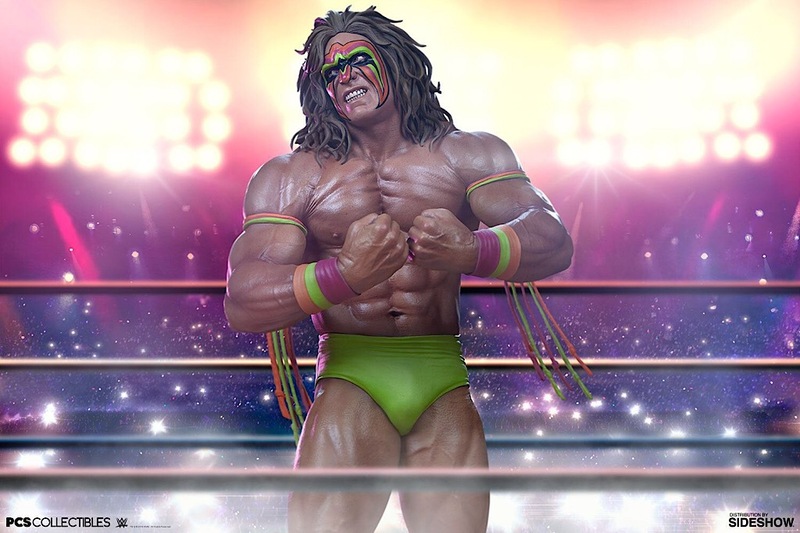 Sideshow and Pop Culture Shock Collectibles are proud to present the Ultimate Warrior Statue, ready to shake the ropes and enter the ring in your collection. 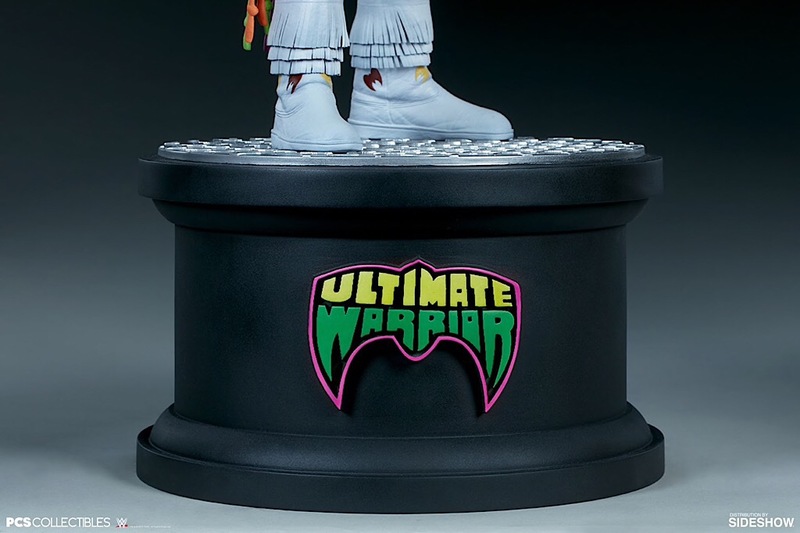 Standing 25” tall, the 1:4 scale Ultimate Warrior Statue captures the action and larger-than-life attitude of the iconic WWE wrestler. 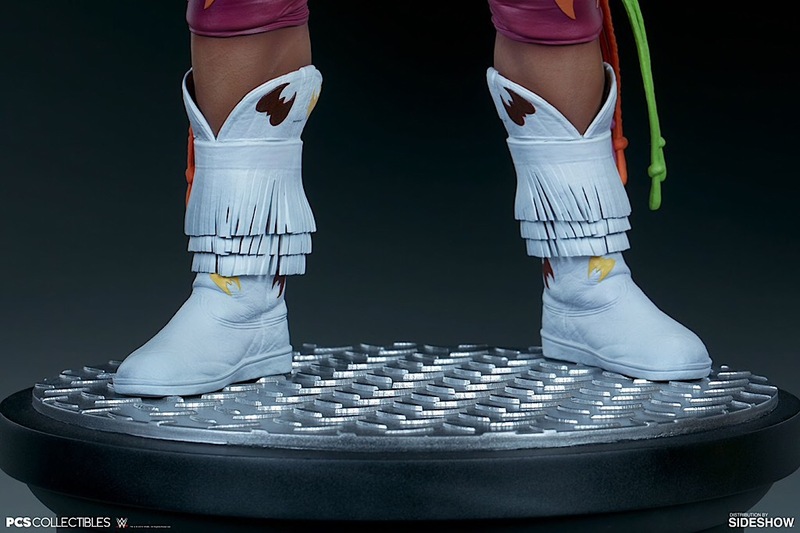 He stands on a black podium base emblazoned with his colorful mask logo, with industrial-stylized silver flooring. 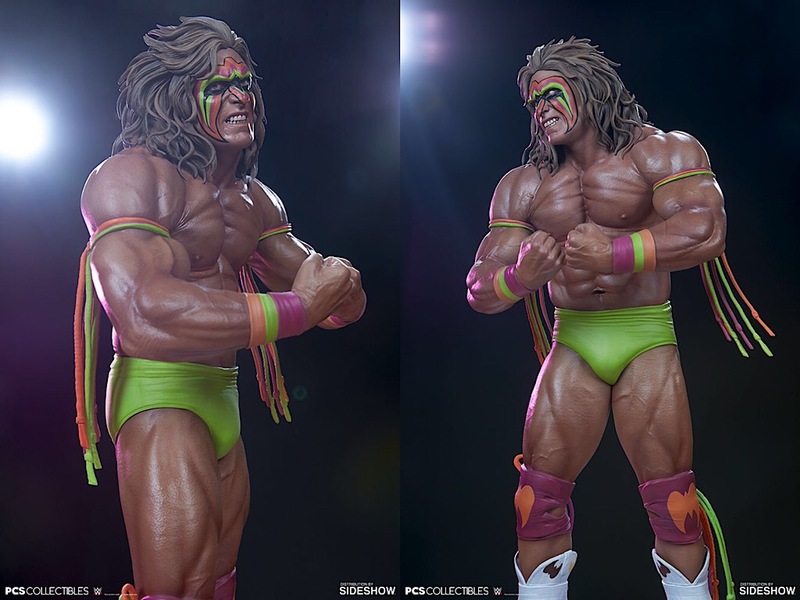 This detailed polystone statue has been carefully sculpted to showcase the Warrior’s immense physique, flexing his muscles and showing off his intimidating presence both in and out of the ring. 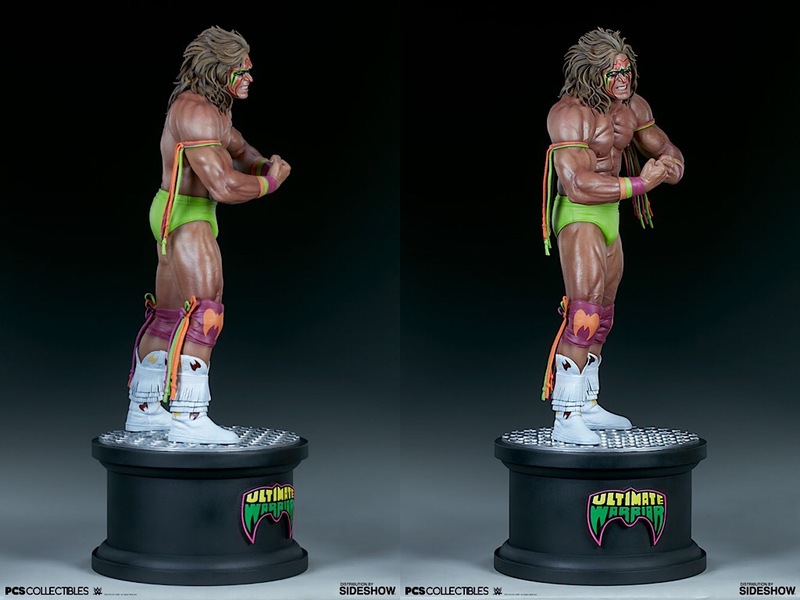 Known for his vibrant colors and unstoppable energy, the Ultimate Warrior Statue embodies the strength and true spirit of the wrestling superstar. 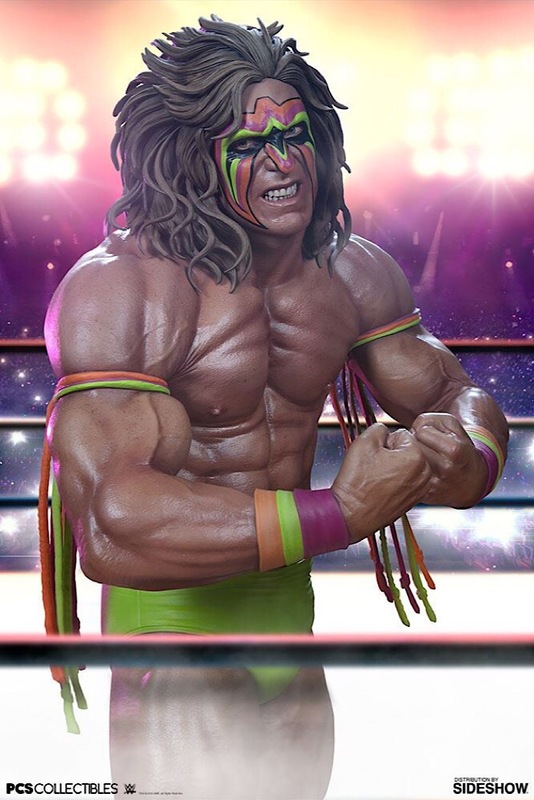 His portrait is detailed with his signature wild hair and bright face paint in orange, pink, green, and black. 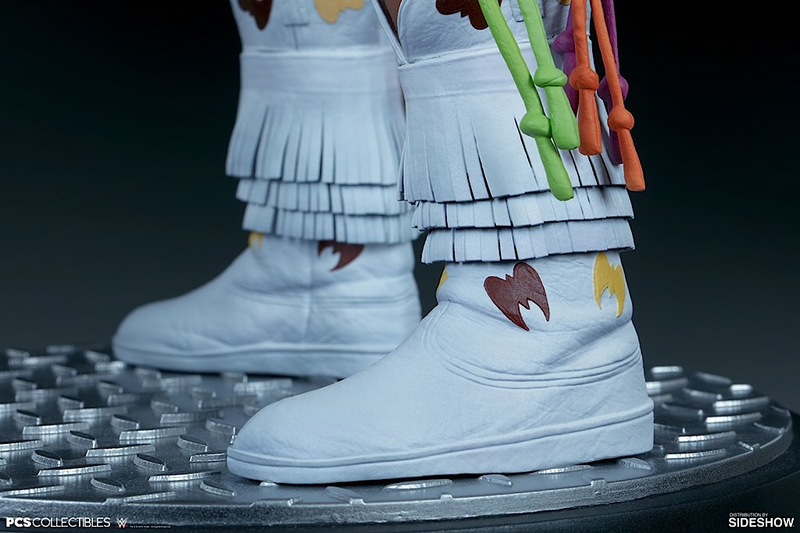 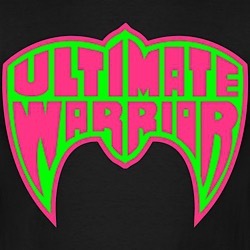 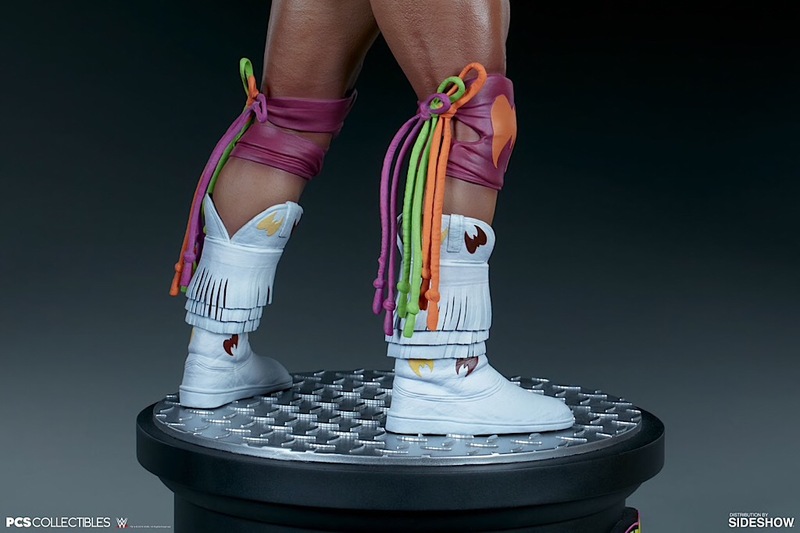 The Ultimate Warrior is costumed in color-matching tassels, wristbands, and knee pads, as well as green trunks and white fringed boots all sculpted with realistic, fabric-like textures. 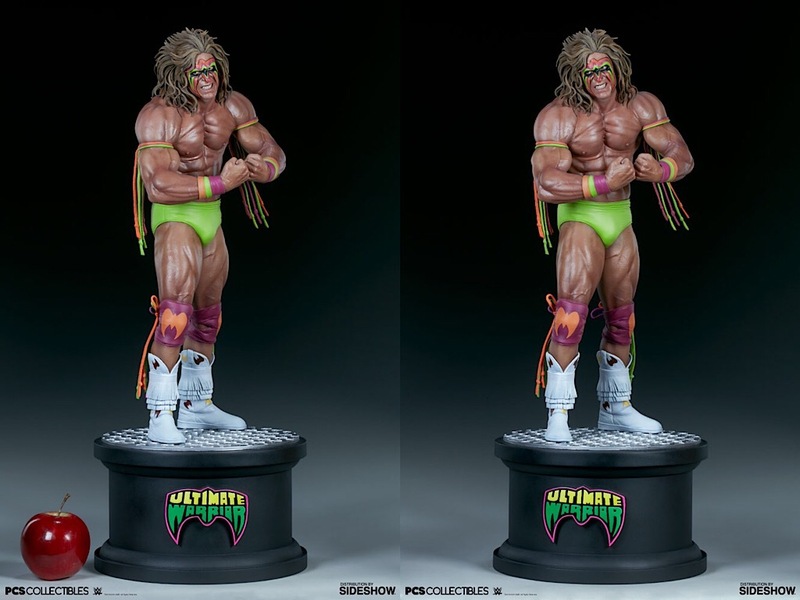 Take your collection ringside and make the Ultimate Warrior 1:4 Statue from Pop Culture Shock the new champion among your WWE collectibles.